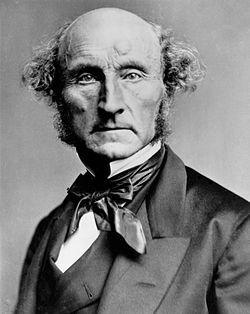 John Stuart Mill (May 20, 1806 - May 8 1873), British philosopher, political economist, civil servant and Member of Parliament, was among the most influential liberal thinkers of the 19th century and the most prominent proponent of the ideas of utilitarianism. The following is a personality profile of John Stuart Mill based on his work. John Stuart Mill is shrewd, skeptical and can be perceived as indirect. He is empathetic, he feels what others feel and is compassionate towards them. He is laid-back as well: he appreciates a relaxed pace in life. But, John Stuart Mill is also philosophical: he is open to and intrigued by new ideas and loves to explore them.